What Is New Christian Books? 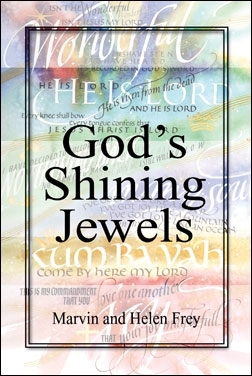 New Christian Books is a service provided by Brentwood Christian Press. America's Number one custom publisher. We help your book from manuscript to marketing, with an optional, custom designed plan to offer your books to every book seller in America on our sites and others. We do it all for you: ISBN, Barcode, full color glossy front cover, media reviews, and much more. It is geared to promote the books we have published and to generate sales for our authors. In business since 1982 Brentwood Christian Press, has published for more than 8,000 authors. Reviews are provided for current books, many from new authors with fresh points of view. They are softback, bookstore size and quality. Books listed may be ordered by calling the contact number provided. If you have a quality manuscript in search of a publisher, please contact Brentwood. Brentwood Christian is American's Number one custom publisher. With books in print for more than 8,000 authors. Located in Columbus, Georgia, U.D. Roberts is the President and CEO. If you still want to learn more, click on the link above to learn all about Brentwood, or click here and we will be happy to send you information regarding our services.